1.12GB of thumping royalty free sound content at 150BPM ready to drop straight into your DAW of choice. 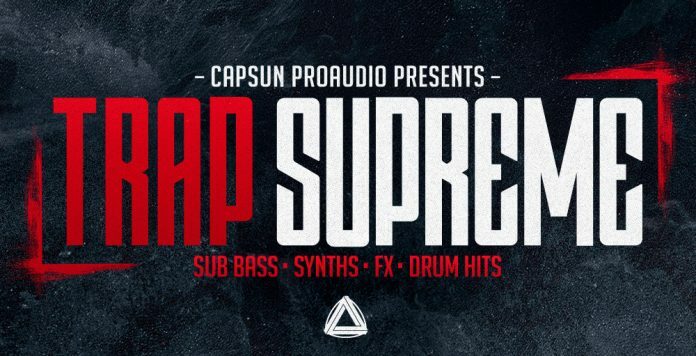 All the essentials for modern Trap production – Tearout Bass Growls, 808 Sub Bass, Lazer Synth Leads, Machine Gun Snares and Shotgun Brass Stabs. Inspirational Melodic Themes, Pumping Future Bass Pads, Chopped Vocals, Chants, FX and Risers. Totalling over 170 loops and over 160 One Shots!